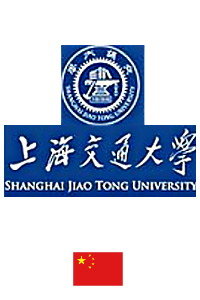 Shanghai Jiao Tong University (SJTU), established in 1896 and directly under the administration of the Ministry of Education (MOE) of the PRC and co-constructed by MOE and Shanghai Municipal Government, is a comprehensive, research-oriented, and internationalized top university in China. SJTU has 28 schools/departments, 26 directly-affiliated institutions, 12 affiliated hospitals, with 16,099 undergraduates and 27,921 postgraduates (13,345 master degree candidates and 6,287 doctorate degree candidates). The university faculty includes 2,851 full-time teachers (among which 872 are professors), 18 members of Chinese Academy of Sciences, 22 members of Chinese Academy of Engineering. SJTU has 64 undergraduate programs covering 9 major disciplines: economics, law, literature, science, engineering, agriculture, medicine, management and arts. SJTU has 36 first-level disciplines authorized to offer doctorate degree covering 8 fields: economics, law, literature, science, engineering, agriculture, medicine and management; 57 first-level disciplines authorized to offer master degree covering all the 13 discipline fields; 3 disciplines authorized to offer professional doctorate degree; 21 disciplines authorized to offer professional master degree.Since 2013, SJTU has ranked first for four consecutive years in terms of the project number and the amount of money issued by National Natural Science Foundation of China. The number and other indexes of SCI papers of SJTU rank among the top for years, with 4,146 SCI papers in 2012 remaining the second among all the universities in China.